St James’ started life as a hospital chapel built with wood donated by King Henry III adjacent to the 13th century leprosy hospital in Southbroom. The chapel was dedicated to St. James and St. Denys, but disappeared from the records after 1338. It is probable that St James’ was re-built on the site of this old chapel, given its proximity to Spitalcroft, which was the land attached to the hospital. In 1461 the first evidence of the new building appeared in the will of William Selfe, which mentions a ‘chapelry’ on the Green. St James’ remained within the parish of Bishops Cannings, but had its own registers by 1572, and its own clergy by 1683. Most of the chapel was pulled down in 1831 to allow the building of a larger church for the growing population. Public contributions raised nearly all the cost of £1053 (over £100,000 at current value). With its new church, St James’ became a separate parish with its own vicar. The fine perpendicular tower is the only part of the 15th century chapelry which remains. The tower bears the scars of the bombardments from Jump Hill by General Walters’ parliamentary forces in the Civil War siege of Devizes in 1643. The cannon balls were found in the tower by a worker in 1780 but subsequently lost. A Choir Vestry (now the Church Office) was added in the 1930s. At about the same time further changes were made, including the reordering of the sanctuary and the removal of the wooden side galleries. These had been added in the 19th century to make room for the soldiers of the Wiltshire Regiment garrison. In 2008 major internal changes were made to make the building suitable for modern use, with the removal of pews and a wooden west gallery. This allowed a full width mezzanine gallery, giving space below for a meeting room and other facilities. The removal of organ pipes by replacement with a digital instrument gave access to the Tower Room for the first time since an organ was first installed in Victorian times. This revealed four carved stone heads, believed to be 15th century originals, and a beautiful stained glass window. 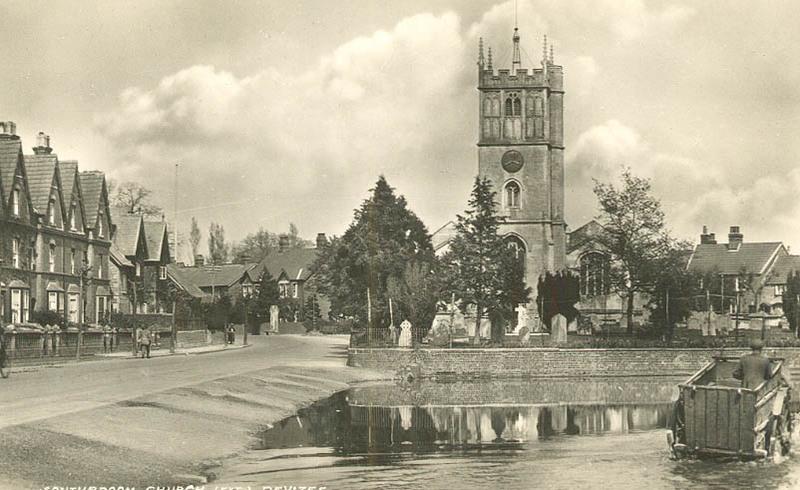 The churchyard was enlarged in 1844 at the expense of the Crammer pond, though was soon closed to new burials. The retaining wall had to be rebuilt after its collapse into the pond in 2008, allowing some improvements which support wildlife as part of the Living Churchyards project. Only the current registers are kept at the church. 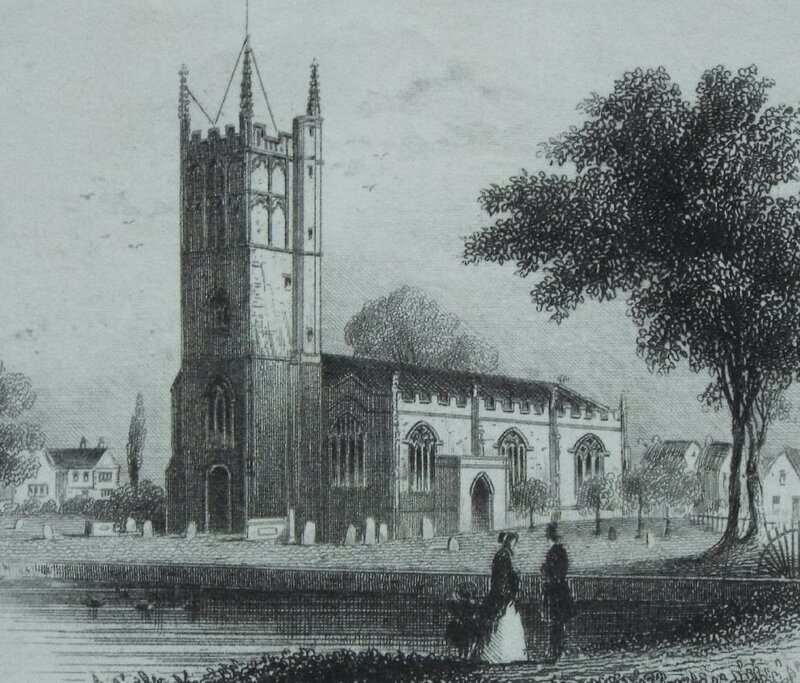 The registers 1572-1837 have been transcribed by Wiltshire Family History Society ﻿https://www.wiltshirefhs.co.uk/﻿. The original documents and later registers are deposited with Wiltshire and Swindon History Centre, Chippenham http://www.wshc.eu/. Other records may be found at https://history.wiltshire.gov.uk/. The Trust for Devizes www.trustfordevizes.info/ has information about the town and the church.